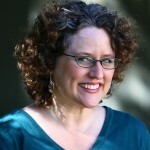 Passages to the Past is excited to be the first stop on Julie K. Rose's virtual tour for Oleanna! Julie will be on tour through April 10th, so make sure to take a peek at the tour schedule below to see where she will featured! 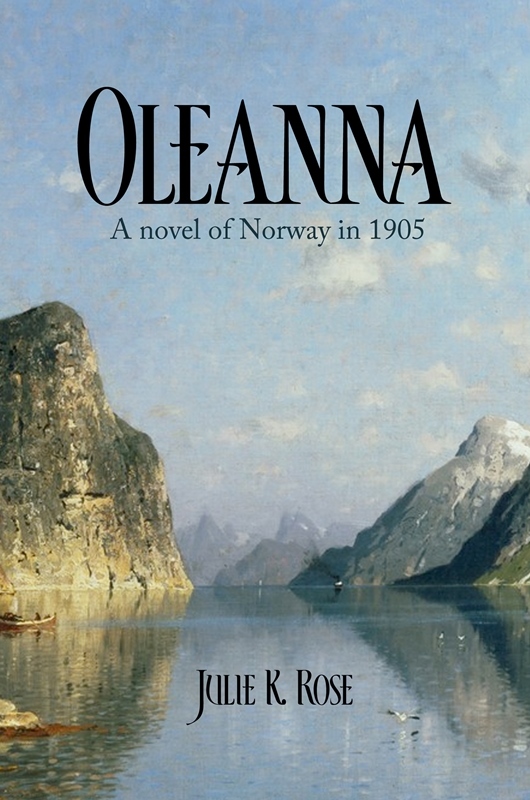 Set during the separation of Norway from Sweden in 1905, this richly detailed novel of love and loss was inspired by the life of the author's great-great-aunts. Oleanna and her sister Elisabeth are the last of their family working their farm deep in the western fjordland. A new century has begun, and the world outside is changing, but in the Sunnfjord their world is as small and secluded as the verdant banks of a high mountain lake. The arrival of Anders, a cotter living just across the farm's border, unsettles Oleanna's peaceful but isolated existence. Sharing a common bond of loneliness and grief, Anders stirs within her the wildness and wanderlust she has worked so hard to tame. When she is confronted with another crippling loss, Oleanna must decide once and for all how to face her past, claim her future, and find her place in a wide new world. I'm an author of historic and contemporary fiction, and I'm particularly interested in the intersection of the spiritual and secular, the supernatural and the everyday, the past and the present, and the deep, instinctual draw of the land. I am a proud member of the Historical Novel Society, current co-chair of the HNS Northern California chapter, and former reviewer for the Historical Novels Review. I earned a B.A. in Humanities (SJSU) and an M.A. in English (University of Virginia), and live in the Bay Area with my husband and our cat Pandora. I love reading, following the San Francisco Giants, and enjoying the amazing natural beauty of Northern California. Oleanna, short-listed for finalists in the 2011 Faulkner-Wisdom literary competition, is my second novel. The Pilgrim Glass, a finalist in the 2005 Faulkner-Wisdom and semi-finalist in the 2009 Amazon Breakthrough Novel Awards, was published in 2010. For more information, please visit Julie Rose's website and blog. You can also find her on Facebook, Twitter, Tumblr, Goodreads and Pinterest. Review, Interview & Giveaway at Oh, for the Hook of a Book! Passages to the Past has one copy of Oleanna up for grabs! To enter, please complete the Rafflecopter entry form below. Giveaway is open INTERNATIONALLY and ends on April 11th. Good luck! My grandfather is an immigrant from Norway, so this book brings to mind all the tales I have heard over the years about the family farms and such. Thanks for the giveaway! I didn't even know Norway and Sweden used to be one country! Julie, your book sounds lovely and I will put it on my to-read list. I also like your virtual book tour bookmark thingey at the end of the post. Your historical fiction era is one I've not read about and the plot is intriguing to a fellow HF writer. Best wishes with your blog tour. I have read the book and loved it. I found it especially interesting since the story is set in my neighbourhood. If the give away copy comes my way, I will pass it on to a library in the area.